Education Minister Naftali Bennett called today, Friday, to shorten the jail sentence of former Prime Minister Ehud Olmert. “The time has come to free Olmert. Despite differences of opinion, there is no argument about his definitive contribution to Israel’s security. The time has come to show mercy,” Bennett wrote on Twitter. Olmert is hospitalized in the Sheba Medical Center in Tel Hashomer after he felt ill on Tuesday and was evacuated from the Maasiyahu prison to the hospital. 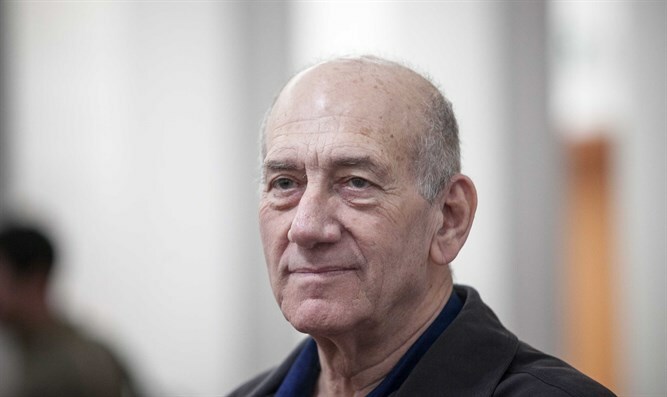 The parole board, which met this week to consider Olmert’s early release, announced that a decision on the matter will be announced on June 29. During the meeting, Olmert lamented to the parole board: “They have turned me into a traitor,” addressing the prosecution’s opposition to his early release due to classified documents reportedly found in his cell. The prosecution says that the discovery of the documents, intended for the autobiographical book he is writing while in jail, is a disciplinary offense which renders the former Prime Minister unfit for early release.